Scientists are to head out on Friday to explore an undiscovered seafloor in Antarctica. The seafloor had previously been covered by iceberg A-68 for at least 120,000 years. 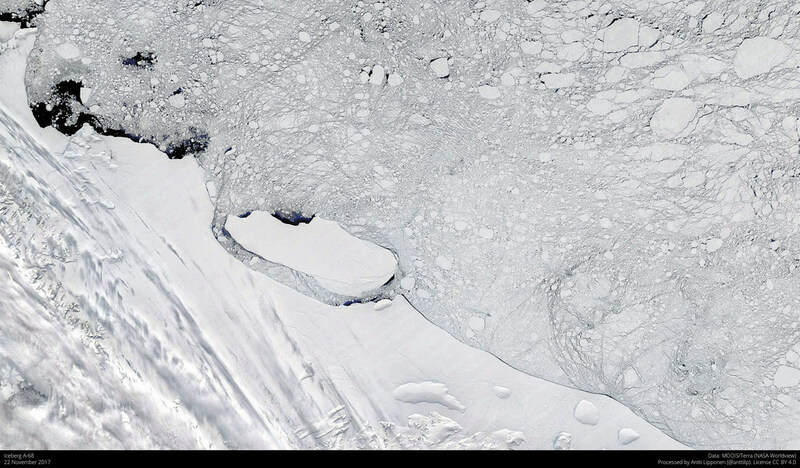 The 5,800 sq km iceberg broke off the Larsen C ice shelf in 2017. After the iceberg broke off, scientists went out to explore the newly exposed ocean floor. The mission failed due to sea ice. On February 9, a German-led group of scientists is heading out to discover the creatures that could’ve been hidden under ice for all those years. The break away of A-68 caused the Commission for the Conservation of Antarctic Marine Living Resources (CCAMLR) to create an international conservation agreement. The new area is strictly for scientific purposes only, and commercial fishing vessels are banned for the next ten years.